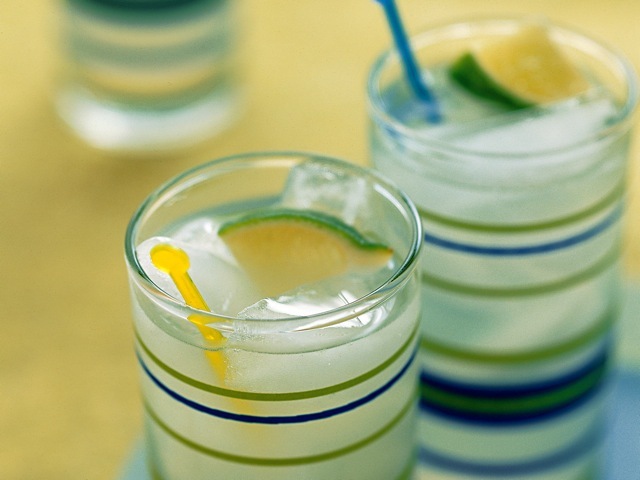 In Lemonade and Iced Tea, Fred Thompson shares 100 diverse recipes for lemonades and iced teas. His creative drinks will take you far beyond the basic lemonade-stand or diner fare of childhood. Lemonade bursts with useful information about buying, juicing, and storing lemons, and has sections on helpful lemonade basics. Whether you are trying an exciting new variation or a more traditional recipe, Thompson will show you that there really is no substitute for a large glass of freshly homemade lemonade. And in Iced Tea, Fred Thompson shows us how easy it is to make a wide variety of iced teas right at home, from classics (Southern Style Ice Tea, Solar Tea) to infusions (Iced Mango Tea, Berry Spice Iced Tea), from spritzers (Green Tea Passion Fruit Spritzer) to offbeat and cocktail teas (Tea Smoothie, Beach Bourbon Slush). Thompson discusses basic methods for brewing tea and the types of teas and tea blends that are best iced, as well as a vast array of flavors and flavorful combinations that can be mixed with iced tea to create refreshing new drinks. p(blue). This week's Cookbook Friday drawing is for copies of Lemonade and Iced Tea from Harvard Common Press. Enter to win by adding at least one of the recipes featured on the left to your Culinate member page recipe queue. p(blue). That's it — you've entered! (All entries must be made between Friday, June 19, and noon PST on Friday, June 26, 2009.) Check back each Friday for a [/mix/contestsandgiveaways/cookbookfridays "new drawing announcement"] and other chances to win. p(blue). This week's Cookbook Friday drawing is for copies of Lemonade and Iced Tea from Harvard Common Press is now closed. Congrats to this week's winners:  [/user/Emily+Murnen Emily], [/user/SchenectadyGreenmarket Jennifer], and [/user/CentreofNowhere Erin].